What does “love” look like? 1 John 4:20 Those who say, “I love God,” and hate their brothers or sisters, are liars; for those who do not love a brother or sister whom they have seen, cannot love God whom they have not seen. 21 The commandment we have from him is this: those who love God must love their brothers and sisters also. First, a question: who is John referring to when he directs us to love “brother and sister”? I expect he means people within the Christian community of the church, but it could have a broader meaning. Modern Christianity has mostly interpreted this to mean all people, Christian or not. In light of this interpretation, how do we “love” others in light of the terrorist attacks in Paris this past weekend? Some people interpret love as being completely pacifist. Is it an act of love to knowingly allow terrorist violence to continue if we’re in a position to stop it? 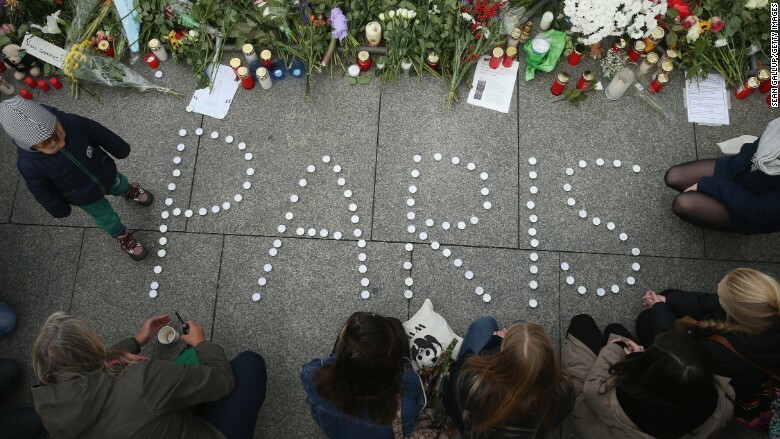 If stopping terror means killing on a large scale, can it be considered an act of love? Does the call to love “brother and sister” include radical Islamists? Why or why not? Lord Jesus, these are troubling and confusing times. Give us grace to do your will here and across the globe. We ask this in Jesus’ name. Amen.